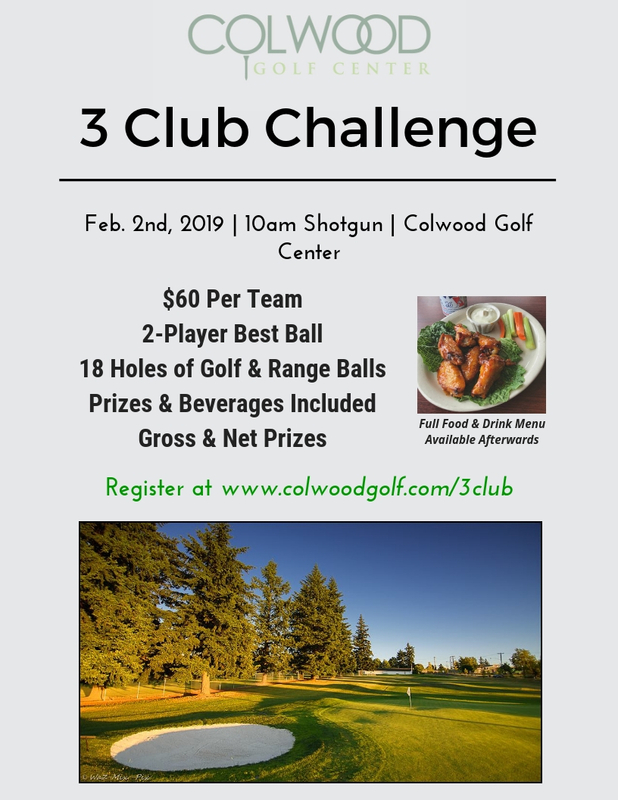 The Colwood 3 Club Challenge is back for 2019. This event is an 18-hole shotgun, two person best ball format, where golfers will be limited to using only 3 clubs (club sharing NOT allowed). The event also includes beverages & prizes.